A night for a bit of fun, and a lot of food. 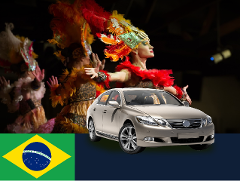 Includes pickup in a private car, a huge selection for dinner, and a Latin American show featuring cultural elements from Paraguay, Argentina, Brazil, Mexico, Bolivia, Peru, Chile and Uruguay. 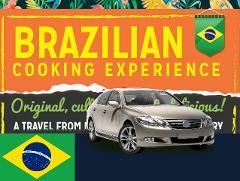 Imagine being able to say, that while on vacation in Brazil, you just popped over to Argentina for lunch or dinner? Although just a small city, Puerto Iguazu has some of the finest dining in Argentina. Transfer is for up to 4 people. Famously fun, interactive, & delicious! 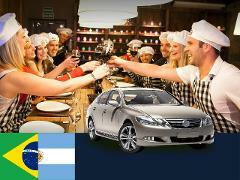 This unique dinner party concept is to teach you the fundamentals of what being an Argentine is all about, whilst simply having lots of fun. 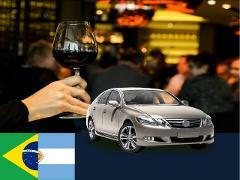 Includes roundtrip private transfer to Argentina.